As always I like telling my readers about really good products, and this is one I really truly like. I don't often get too selfish with the products that I review but these are MINE! ( LOL) I really love these socks! 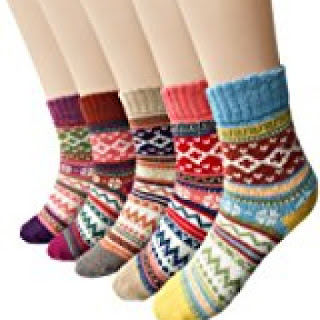 Ueither Women's Vintage Style Wool Socks are not only warm but they are so cute and comfortable. I have always really liked this type of vintage pattern, especially for fall and winter. The pattern is old school with a up to date flair. The colors in these socks make the perfect accessory for just about any wardrobe. 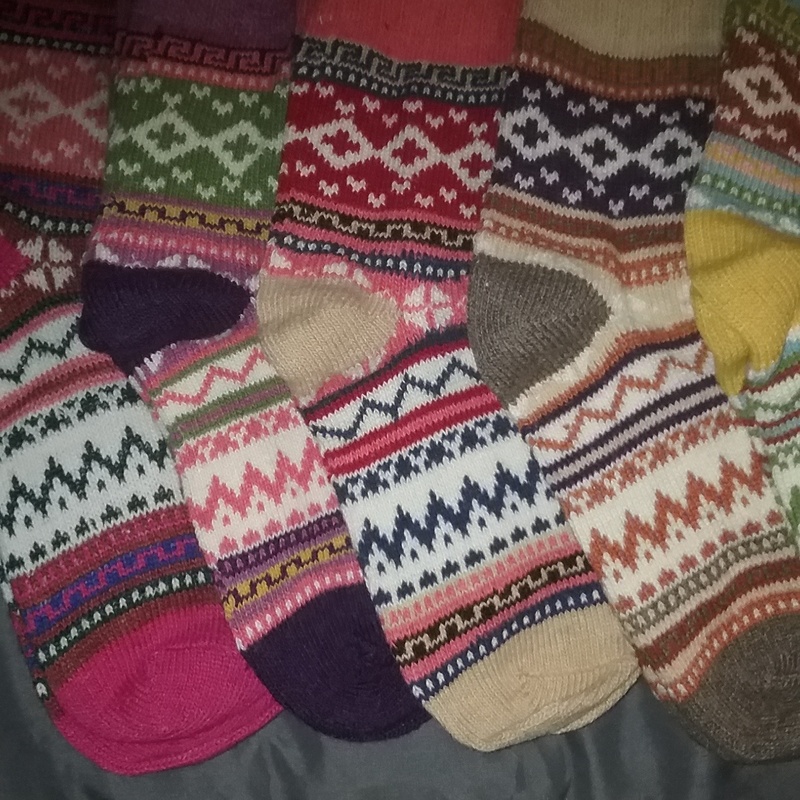 These socks just look warm and cozy, putting them on feels even better than they look. Made up of 40% wool, for weight and insulation, 55% polyester for strength, and 5% spandex for stretch. This combination makes these socks so cozy, plus they wick moisture away from your feet and fight odor. The elastic cuff stays in place without digging in to your shins. These socks come 5 pairs in a package, and fit US size 6 - 10 Women's shoe sizes. They are truly comfortable, and warm and cozy socks. Plus they are so cute, a great compliment to whatever causal wear you are wearing. Oh these are super cute. I remember when my son bought me something like this for the holidays one year. I can't find mine so I may have to purchase another set.